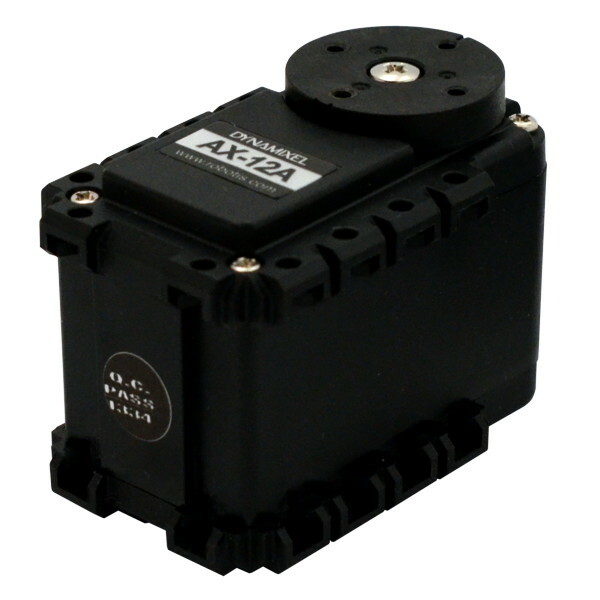 The Dynamixel AX-12A is a smart servo that can be daisy chained with other compatible Dynamixels to achieve advanced robot actuation. Dynamixel servos are intelligent servos that are able to generate movement and provide feedback to the host microcontroller. 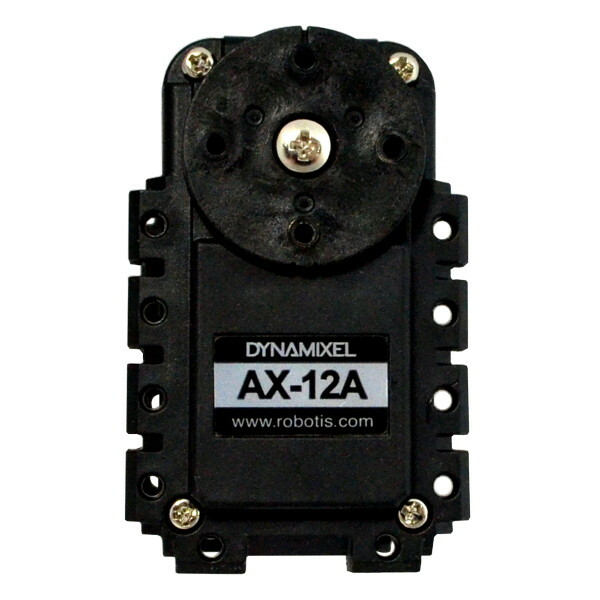 The AX series Dynamixel servos feature an accessible design that uses TTL serial communication to form a network of smart servos. Dynamixel servo networks support up to 255 independently addressable servo nodes. 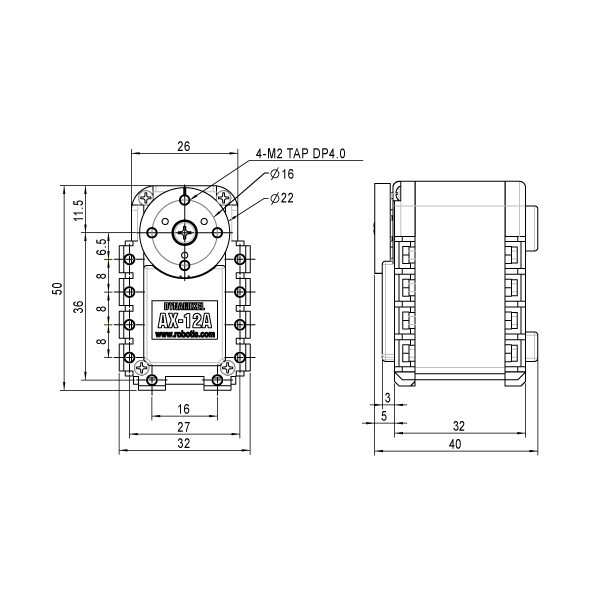 The AX-12A smart robot actuator is a general purpose servo suitable for robot joints, wheels, grippers and other purposes. The AX-12 servo supports multiple output algorithms for maximum versatility. 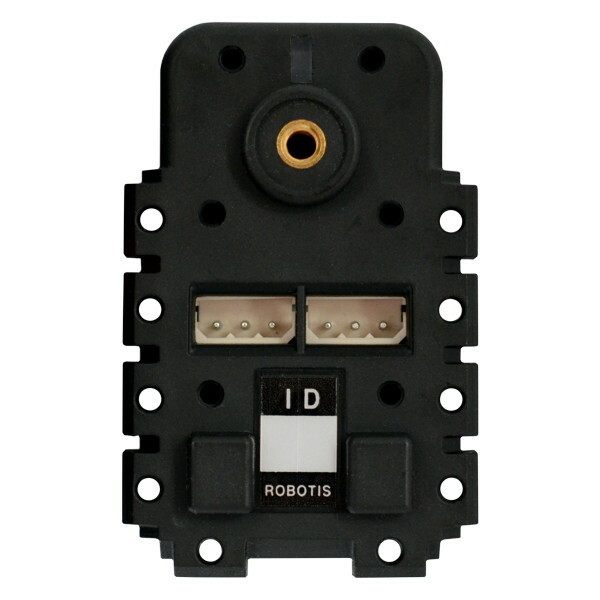 This intelligent servo has a built in microcontroller with the ability to report speed, position, temperature and other metrics to your robot's microcontroller brain or subsystem. 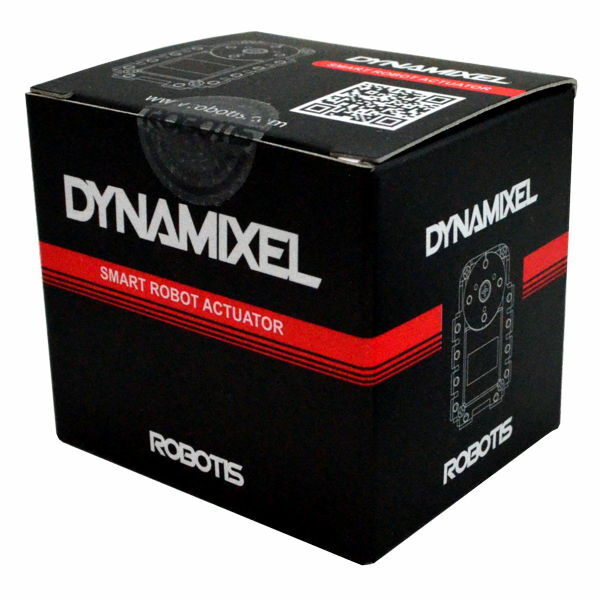 The Dynamixel AX series robot servos are are an excellent choice for your advanced robot projects.